Myths abound on military biofuels – some passed around by the usual suspects in an attempt to create fear, uncertainty and doubt, and thereby win crucial political points during an election season. Others seem more to be the product of naïvete, often by members of the media who struggle to master the science and economics of energy under the pressure of journalistic deadlines. In this context we’d like to examine assertions made in a feature story on the Green Strike Group published this week in Wired’s online Danger Room, entitled “How the Navy’s Incompetence Sank the ‘Green Fleet”. Myth #1. Military Biofuels will cost an extra $1.8B per year. False and false. Which is to say, congressional Republicans have been attempting to give the report more visibility than the Declaration of Independence. The report does mention a figure of $1.8 billion – absent the invocation of the Defense Production Act Title III, which would ensure that advanced biofuels are, in fact, cost-competitive with fossil fuels. The Obama Administration, working with the Navy, simply followed the recommendations of the 2011 report and invoked the DPA to ensure that switching to green fuels would not involve great expense to taxpayers. Myth #2. Advanced biofuels falling 98 percent short of Congressional targets. False. 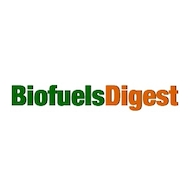 Advanced biofuels, as defined in the Congressional goal, specifically include sugarcane ethanol and biodiesel, and more than 10 billion gallons “of the stuff” were produced around the world last year – vastly exceeding the Congressional target. How did Wired get its, er, wires crossed? By mixing up the definition of cellulosic biofuels with advanced biofuels. As it happens, none of the fuels used in yesterday’s exercise were cellulosic biofuels. Myth #3. There is no biofuels production in the US capable of supporting military fuels – it’s fantasy fuel. False and false. There are more than 180 biorefineries operating in the United States. More importantly, since what Wired is driving at is the manufacture of military fuels (rather than, say, ethanol), all of them capable of making intermediates that can be upgraded to military-spec aviation fuel. Keep in mind, all biofuels made for military purposes today are manufactured in a two step-process – first, an intermediate is made, and then it is upgraded through processes such as UOP’s hydroprocessing technology. It’s the same with crude – you don’t pour crude oil into an aircraft or destroyer – after recovery, it is processed and upgraded at a refinery to meet a military spec. Also keep this in mind. In the 2012 demonstration the HEFA fuels were used, from a new renewable fuel spec developed and approved in the past two years, and which primarily utilizes fats, oils and greases to make renewable fuels. By the 2016 deployment of the Green Strike Group, the ATJ standard is expected to have been approved. What’s that? Instead of upgrading oils to military fuels, this is for the upgrade of alcohols into fuels. The military will have a vastly larger pool of suppliers and production capacity to tap into in 2016. So, why all the fuss about invoking the DPA? The Navy is planning to use the DPA to ensure that it has a reliable, cost-competitive supply of military fuels. 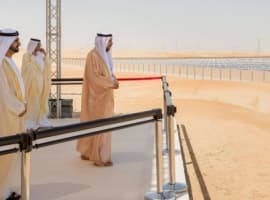 DPA-invested production capacity will be, by contract, providing fuels at a cost-competitive price and with a dedicated supply to the military. 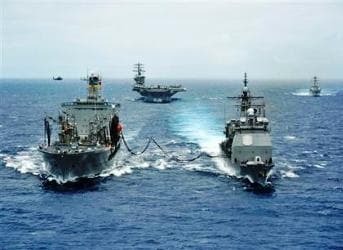 The US Navy, like everyone else, is determined not to repeat the mistake of recent years and buying renewable fuels in the open market. In this way, it is returning to the same strategy it used in the conversion from coal to petroleum back in the early 1900s. The oil industry in Wyoming really got underway with the Teapot Dome complex, which was a Navy fuel production depot. Ultimately that complex was released to the public (initiating an energy brouhaha – the Teapot Dome scandal – that makes the upheaval over Solyndra look like chicken feed, and was described as the most serious public scandal prior to Watergate). President Harding’s Interior Secretary, Albert Fall, in fact went to jail as a result of the scandal, the first US cabinet official ever to do so. The British Navy did much the same when converting from coal to oil. Concerned over supplies and costs, First Lord of the Admiralty Winston Churchill pushed through a plan to found the Anglo-Persian Oil Company to guarantee affordable, reliable sources of the new fuel. Today, that company is still around – it’s BP. Myth #4. Biofuels are heavily subsidized and are a showcase for government subsidy programs gone wrong. True and false. True, the Congress introduced a subsidy in 1980. The program has resulted in, according to the most recent study, a $1.09 per gallon reduction in the cost of gasoline by reducing US petroleum demand, almost single-handedly eliminated a farm support that was costing US taxpayers even more than the ethanol subsidy; and the ethanol subsidy itself has been discontinued. On the 40 percent figure, Wired has mistaken corn shipments to ethanol plants for corn usage by ethanol plants. It’s true (well, not quite, but close enough for horseshoes) 40 percent of corn is shipped to US ethanol plants – but only one-third of the corn kernel, by weight, is used for ethanol. Another third, for example, is returned to the feed markets as a low-cost, high-protein animal feed. Imagine if you will, the family of eight at the Sunday dinner table. You are the first, say, to tuck into the mashed potatoes. You take your share of a 2-pound tub, and then pass it to your right, and everyone takes their share. It is not true to say that you consumed 2 pounds of mashed potatoes. Myth #5. Biofuels technologies drive up food prices, excepting technologies that never seem to arrive. False and false. Food and crops are not the same things, just because food is made from crops. Lots of things go into making food – mostly, energy and marketing. In a $4 box of Corn Flakes, there is less than 10 cents worth of corn. I know – you’re about to tell me that I am referring to processed foods, as are used in developed countries – but what about staple foods such as are used in Africa. Well, let’s consider (sub-Saharan) Africa, and the traditional staple crop, cassava. Eat that raw, you die – without energy-intensive cooking, it forms a cyanide in your body. And, it’s false that “a bunch of technologies which haven’t been commercialized yet, a bunch of things that don’t really exist in this world” are required to make biofuels from ‘new land’. Take for instance, Dynamic Fuels’ 75 million gallon commercial-scale facility, which makes military fuel intermediates from animal waste – and which provided much of the fuel for this 2012 demonstration. Myth #6. Former green tech supporters are now leading the charge against advanced biofuels. A mile from true. Arizona Senator John McCain is the long-time, well-known, leading opponent of biofuels, in virtually all its forms, for more than a decade. The Senator is one of just 20 or so Senators who voted against the Bush Administration’s Renewable Fuel Standard legislation (The Energy Independence and Security Act), and has been a leading opponent of cleantech mandates in power and fuels, cleantech tax incentives, production tax credits, and loan guarantees. Not that there’s anything wrong with the Senator taking a position against federal investment in developing new technologies and industries. It’s just plain wrong to style Sentator McCain as a green tech supporter in this context. To cut through all the myths and misinformation, all we need to do is follow the hydrogen. Hydrogen is the principle energy carrier in all our liquid fuels. All the hydrogen in conventional fuels comes from the ground in the source crude oil or natural gas. Some of it is consumed along the way to pay the costs of production, but for every liter or BTU consumed, between 8 and 24 make it into the fuel tank. The energy return on investment (EROI) for gasoline and diesel have oscillated between 8:1 and 24:1 since 1920. EROI is a key metric that essentially describes how much our primary energy sources can contribute to the health and wealth of our nation. Biofuels, on the other hand, require hydrogen to be added at multiple steps: fertilizer (pure anhydrous ammonia (NH3) is the fertilizer of choice for corn), petroleum-derived herbicides and pesticides, and hydrotreating, which is essentially injecting pure hydrogen to up-convert alcohols and esters (bioethanol and biodiesel) into true hydrocarbon drop-in fuels. Where does all this hydrogen come from? Petroleum! 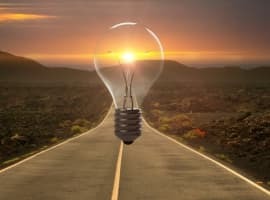 In addition, biofuels have very steep processing costs that fossil fuels don't, including cultivation, irrigation water, huge algae pond water circulation and centrifuging, kraft process cellulose separation from lignin, truckloads of genetically engineered enzymes, distillation of 96% water content, etc. 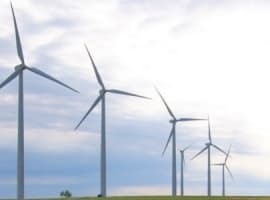 These energy costs can either be paid by the product fuel or by additional injects of petroleum, but either way, the EROI is further reduced. Ethanol EROI is a pitiful 1.25:1. Cellulosic ethanol EROI is 3-5 times worse--well below unity, which means it takes more fuel to make than it yields--which is why it is always '5 years away.' There is probably not a single politician or government agency head, including Dr. Chu, who is truly informed about hydrogen mass and energy balance in biofuels, and that is why billions of taxpayer dollars have been squandered on this fiasco in a vain attempt to get drop-in biofuels below outrageous prices like $26.75 a gallon. Amyris and Gevo have finally figured this out and abandoned biofuels for industrial chemicals and animal feed. Here's an abbreviated body count of some who failed to learn this lesson: Verasun, Cello, Range Fuels, Choren, Pacific Ethanol, Cascade Grain, Renew Energy, Bionol, Clean Burn Fuels, etc., ad nauseum, with Sapphire, Iogen, and more teetering on the edge. Mr Lane, what is the cost of a gallon of BIOFUEL?